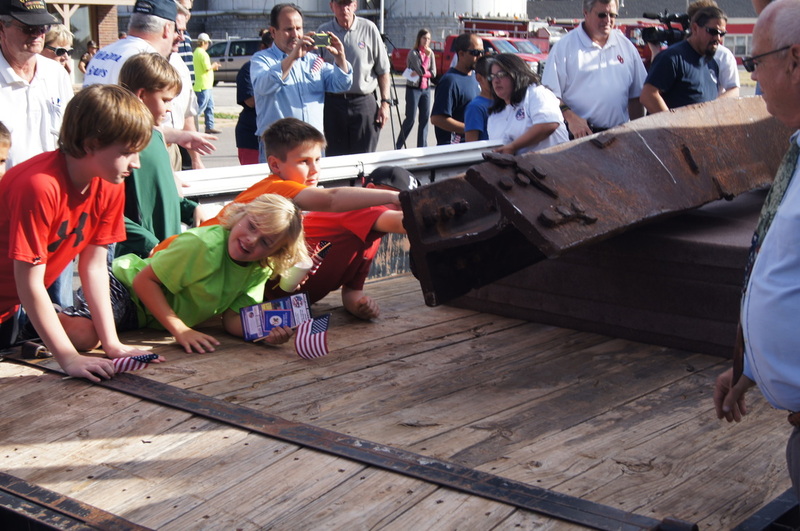 A 3,000-lb. 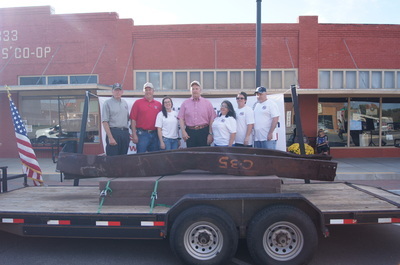 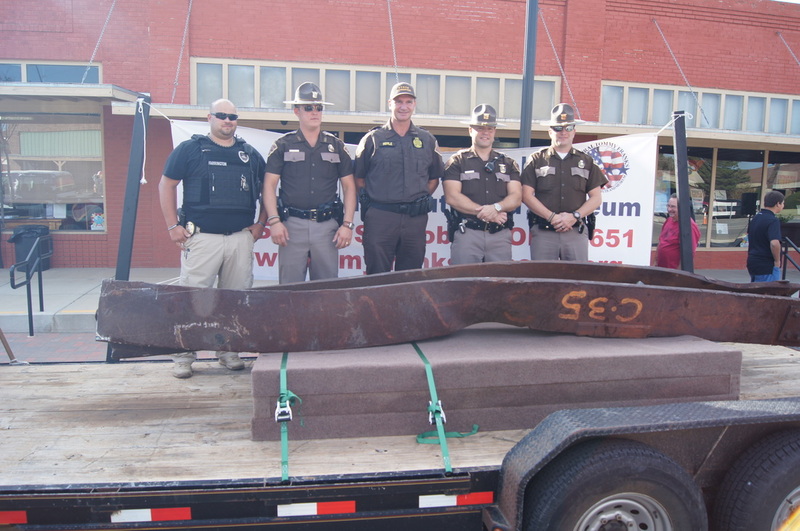 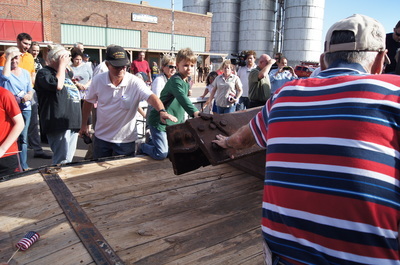 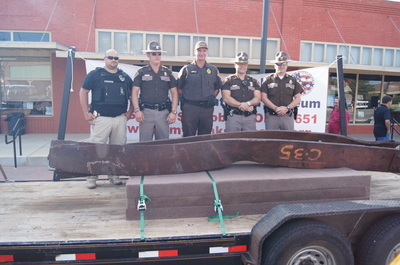 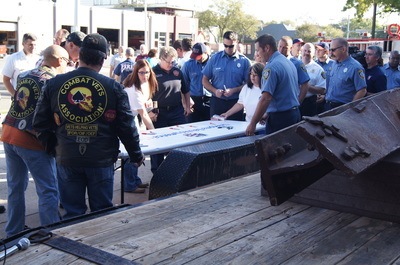 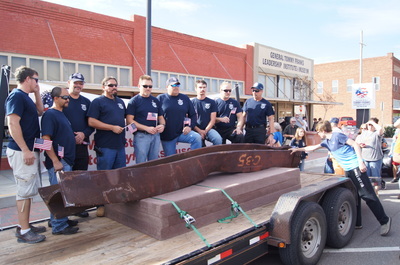 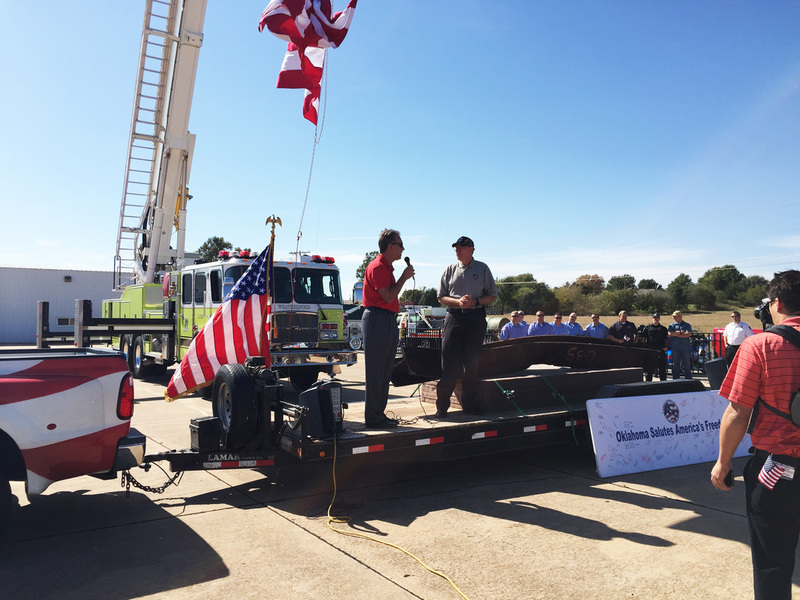 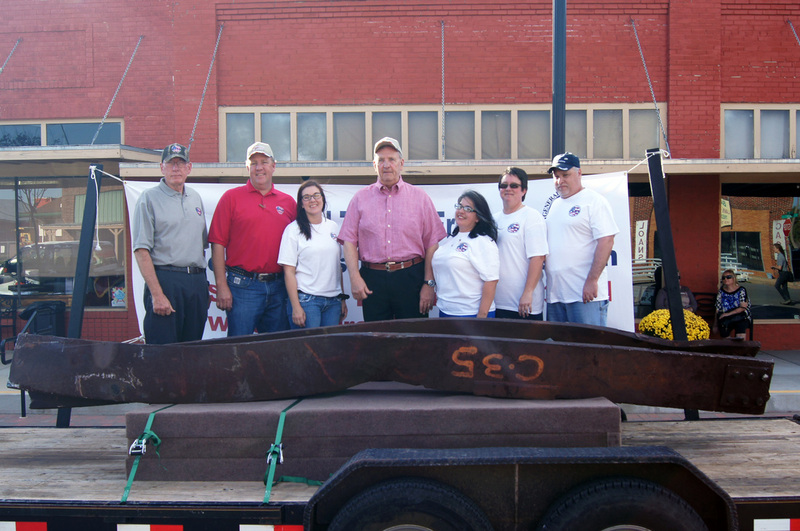 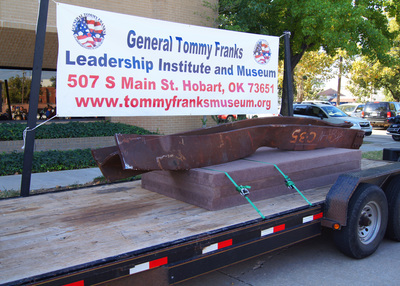 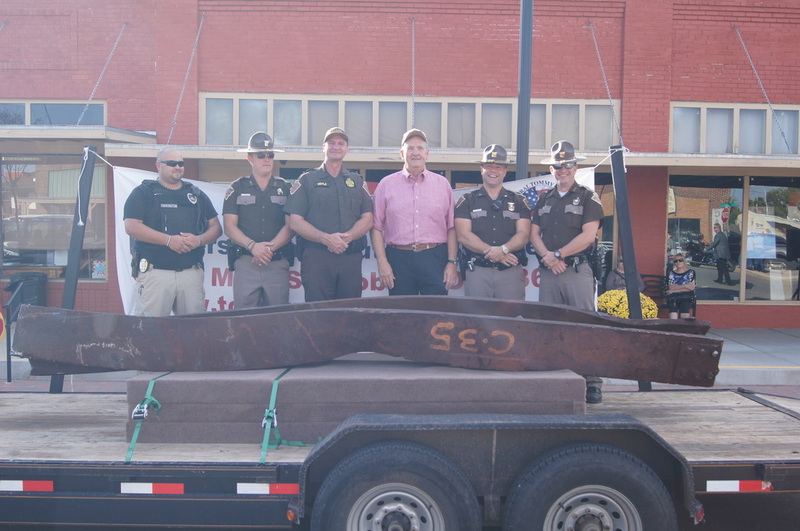 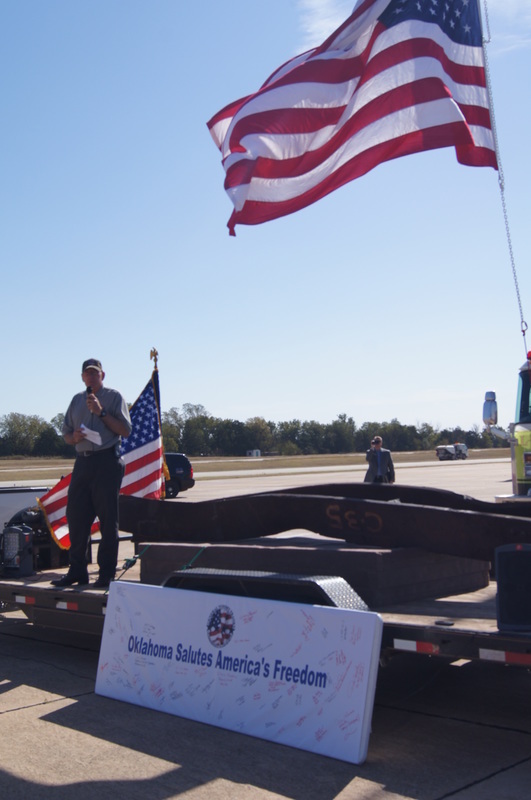 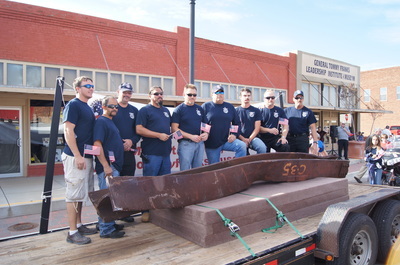 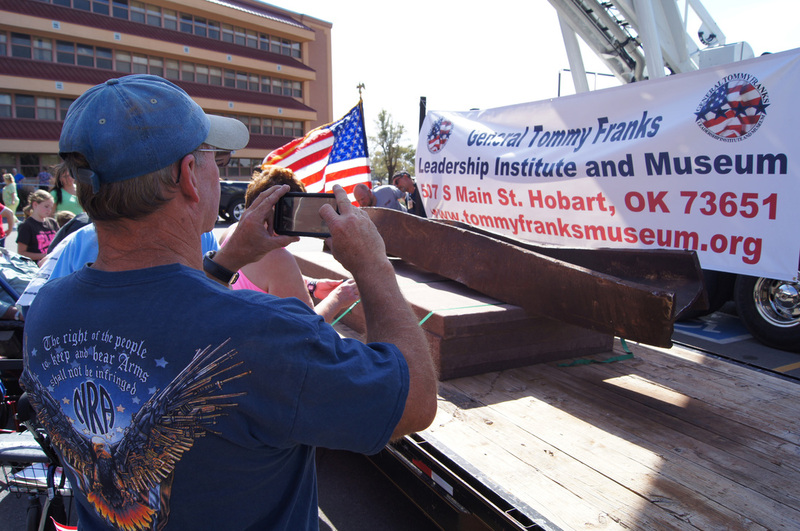 steel I-beam from the World Trade Center, one of the few remaining pieces to be released from The Port Authority of New York and New Jersey, made the long journey to its final home at the General Tommy Franks Leadership Institute and Museum on Oct. 20, 2015. The artifact was part of the National Institute of Standards and Technology in Washington, D.C., a collection that was used to analyze the affect of various steel and metals used on building safety. 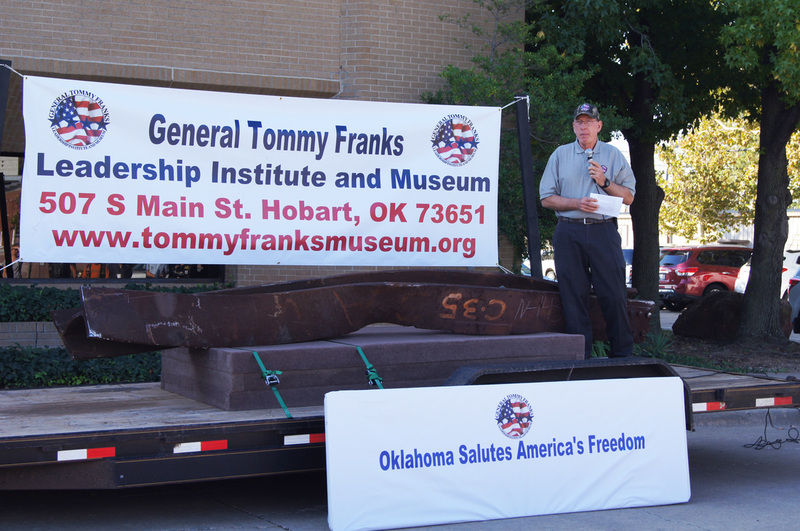 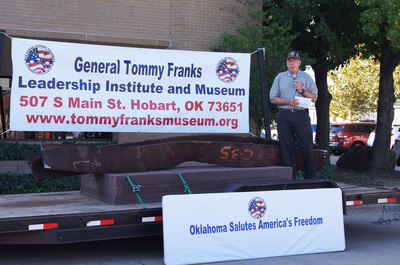 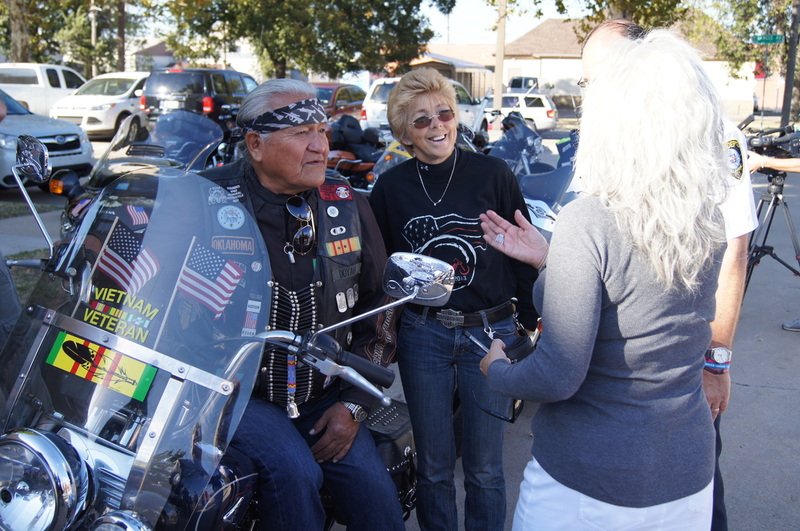 The General Tommy Franks Leadership Institute and Museum applied to be an artifact recipient in November 2014. The interior, steel I-beam measures 14-feet long and weighs 3,000 lbs. Due to the connection plates attached along the web, it is most likely part of the flooring system or an interior connection to the exterior of the World Trade Center buildings. 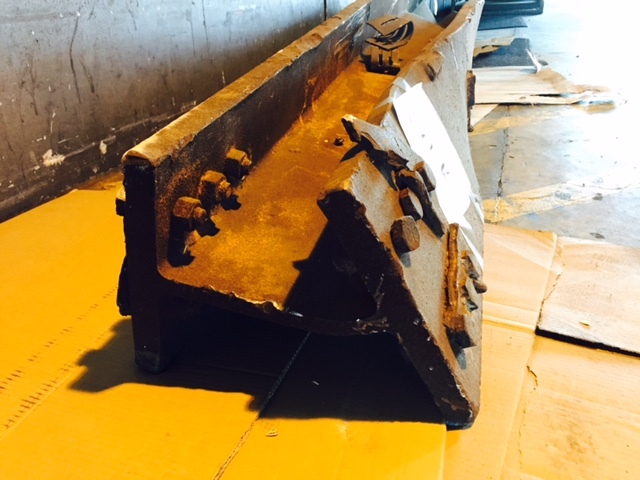 The beam shows cold compression damage, or damage from the weight of collapse, and is most likely from Two World Trade Center. 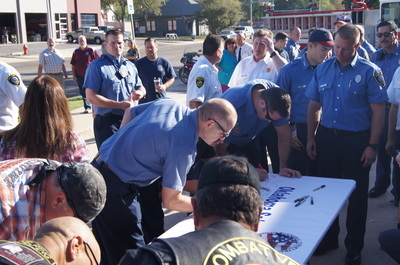 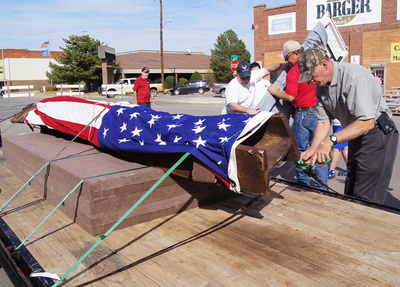 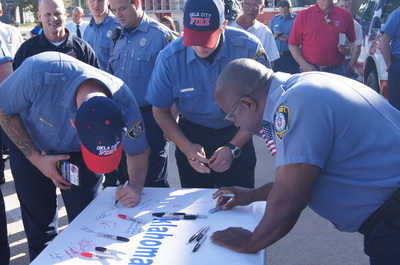 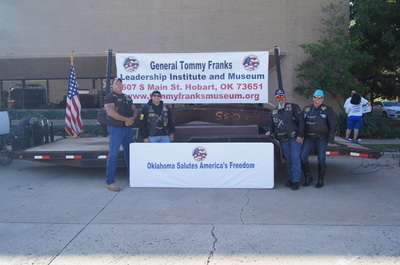 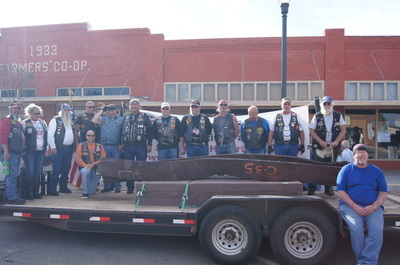 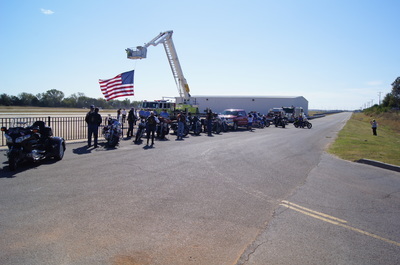 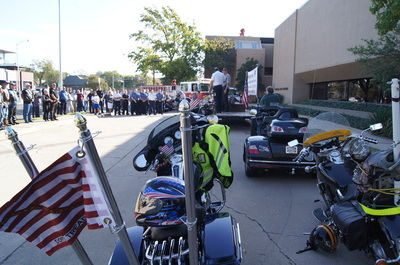 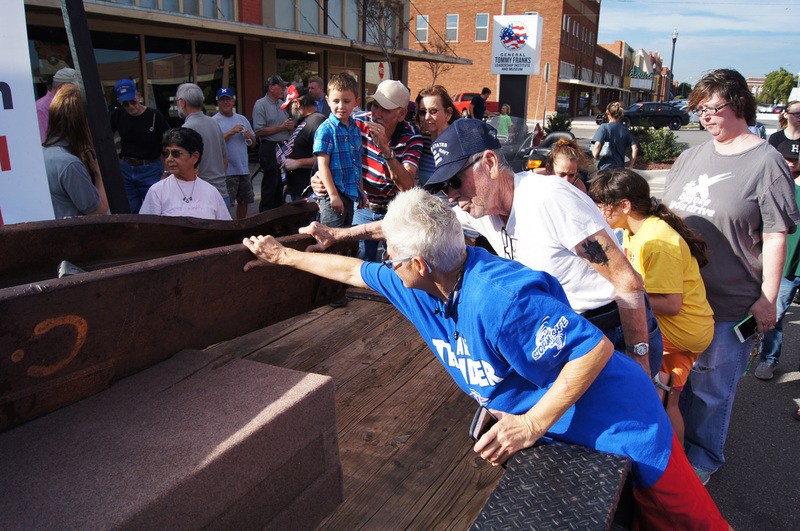 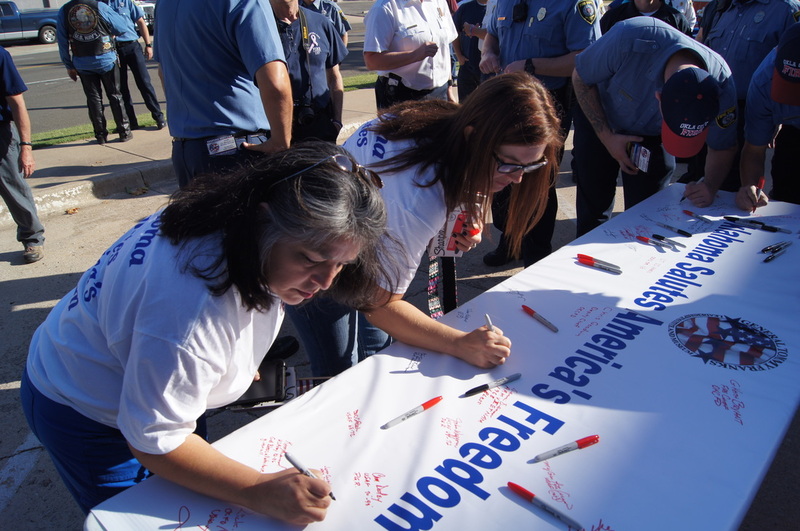 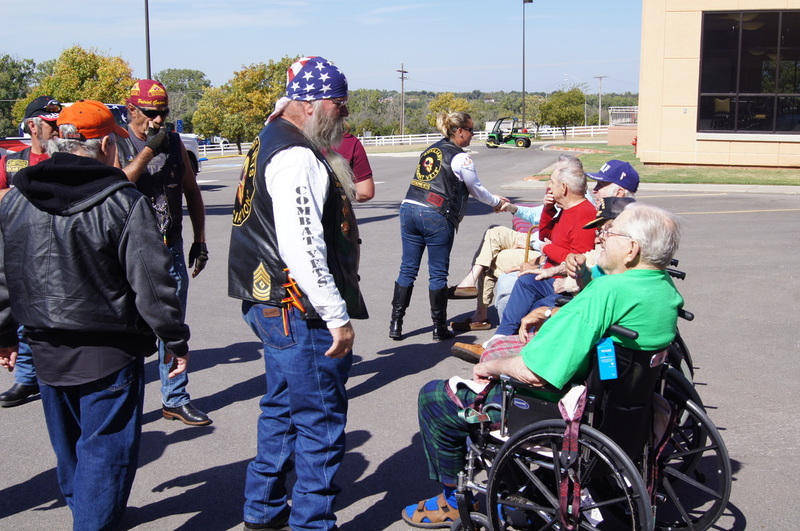 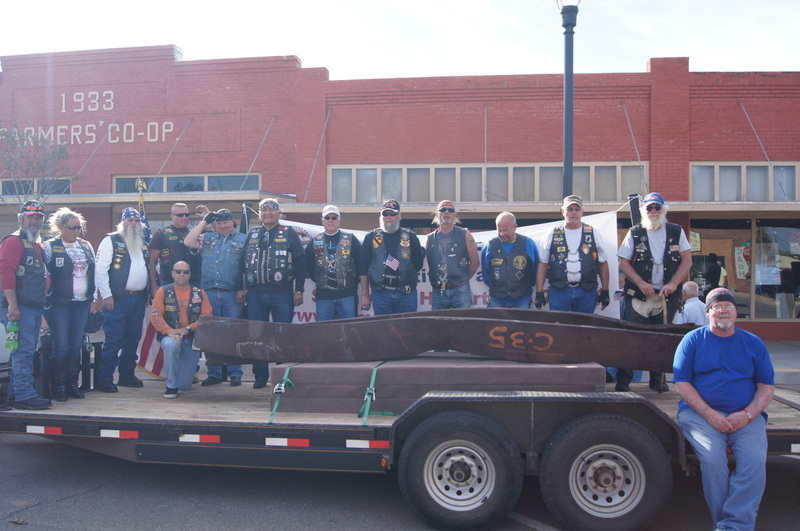 The beam traveled throughout Oklahoma, making stops to present the artifact at Fire Station #1 in Oklahoma City, the Stafford Air & Space Museum in Weatherford, Okla., the Oklahoma Veterans Center- Clinton Division in Clinton, Okla. and at its final home at the General Tommy Franks Leadership Institute and Museum in Hobart, Okla. As the beam traveled the state it was escorted by the Oklahoma Highway Patrol, members of local law enforcement and fire stations in Oklahoma City, Weatherford, Clinton and Hobart and the Combat Vets Motorcycle Association and Patriot Guard Riders. 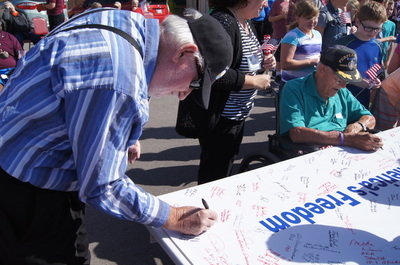 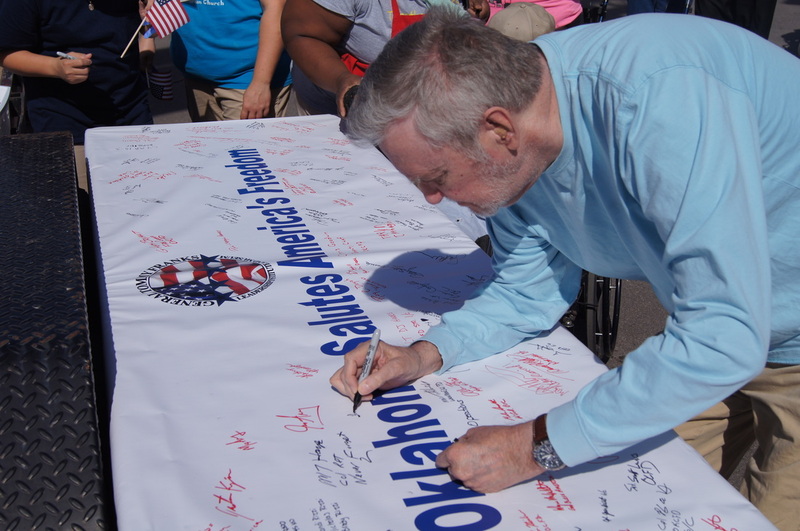 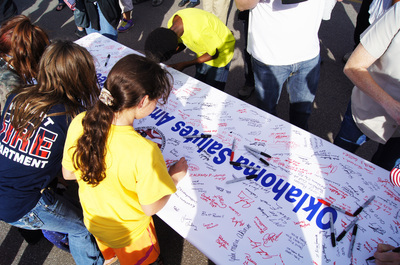 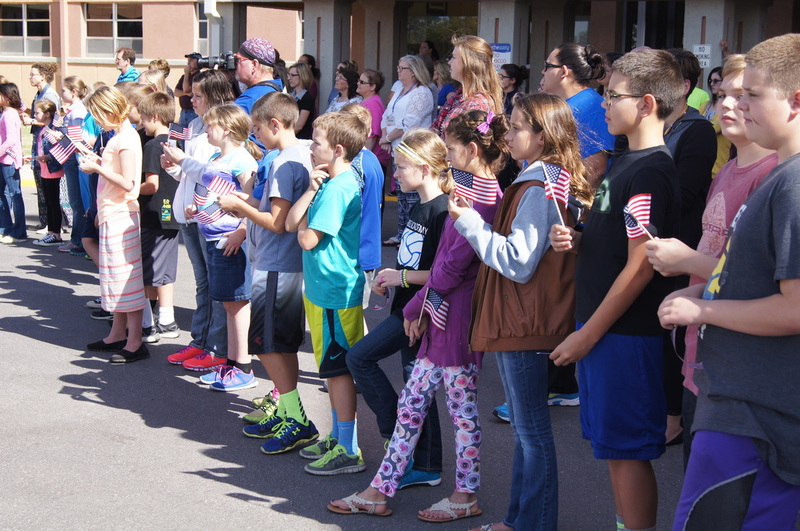 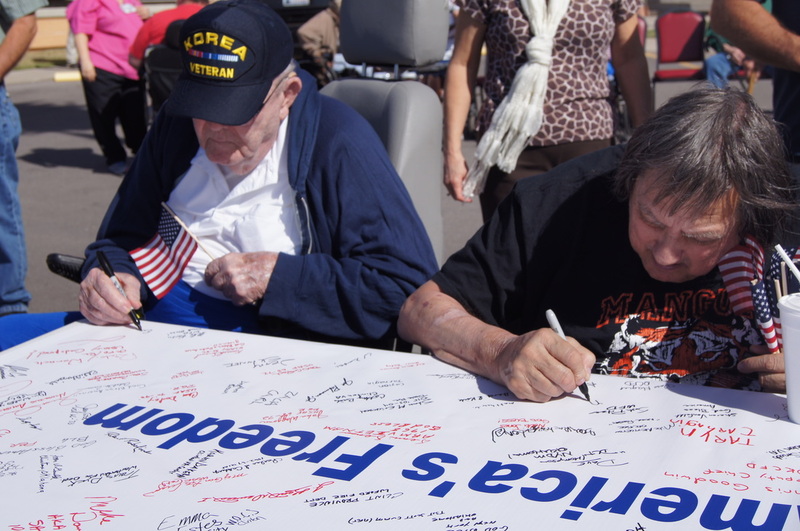 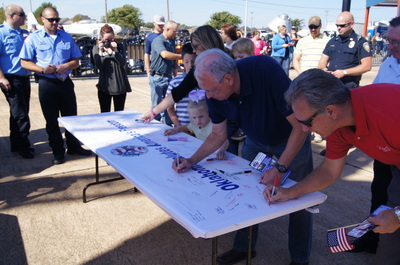 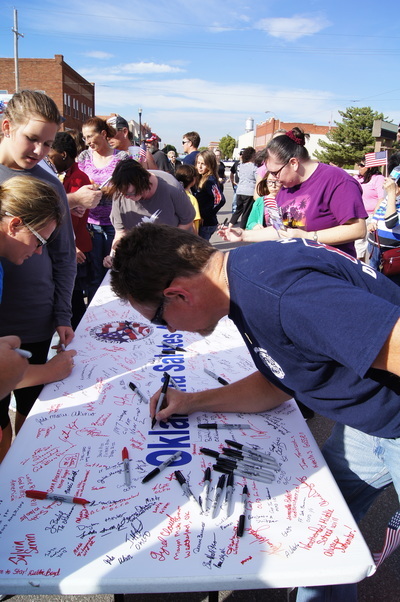 At each stop, a ceremony was led by retired Col. Michael Hayes, member of the board of directors of the Museum, and the public was invited to view the beam up-close as well as sign a banner with well-wishes to be placed into the beam's permanent exhibition. 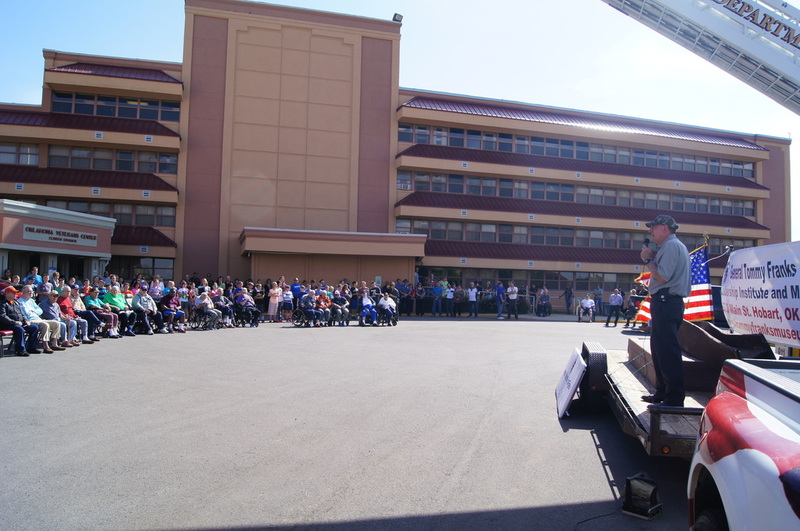 "9-11-01 was like turning a page in a book," said retired Gen. Tommy Franks. 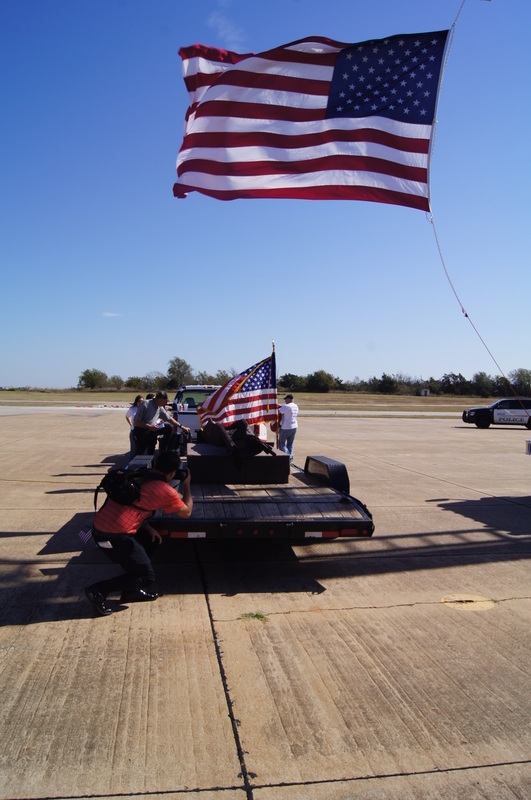 "The America that we all knew before that day is not the America that we see today. It is important that we never forget the events of that day and as we can put this artifact on display for the thousands of people who come through the Museum, we hope it will serve as a reminder and educational opportunity." 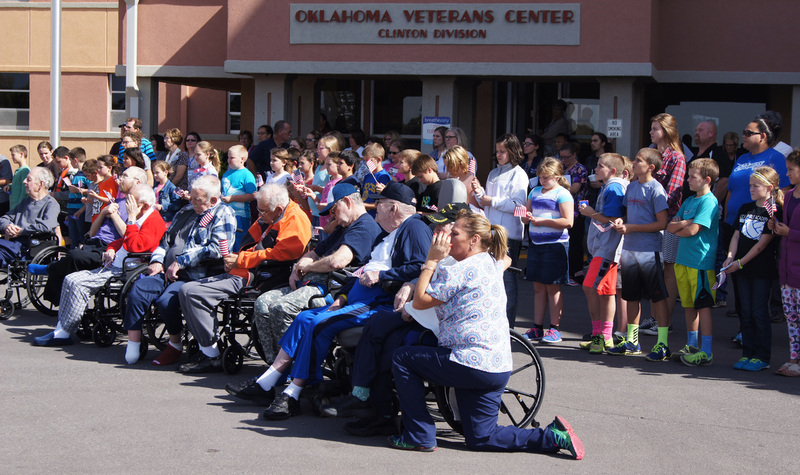 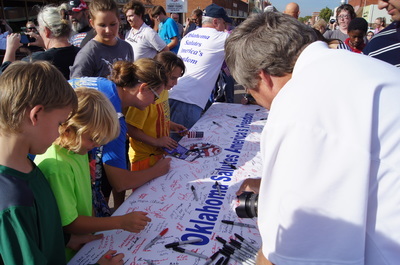 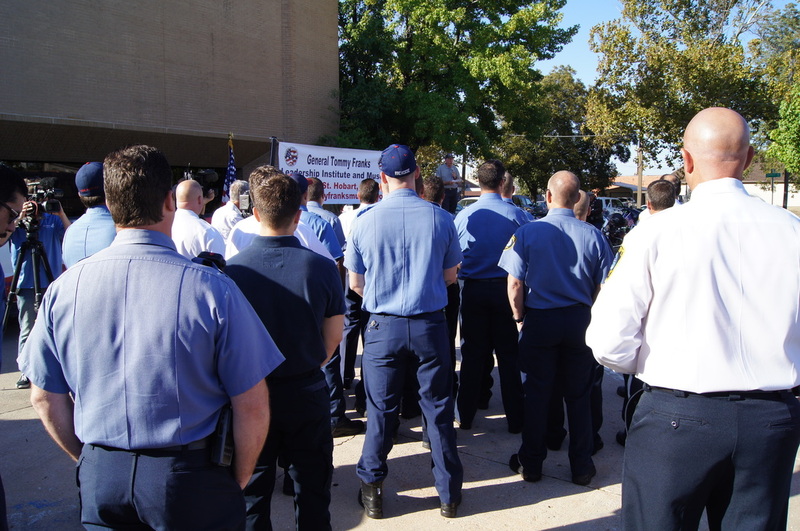 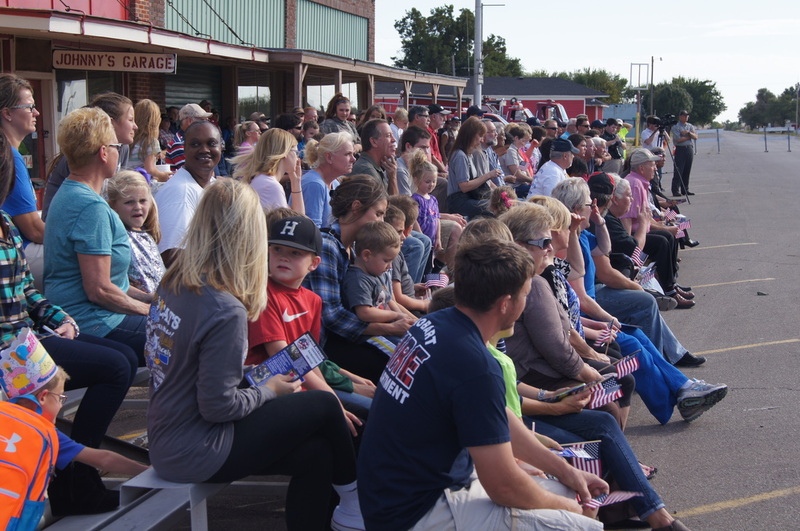 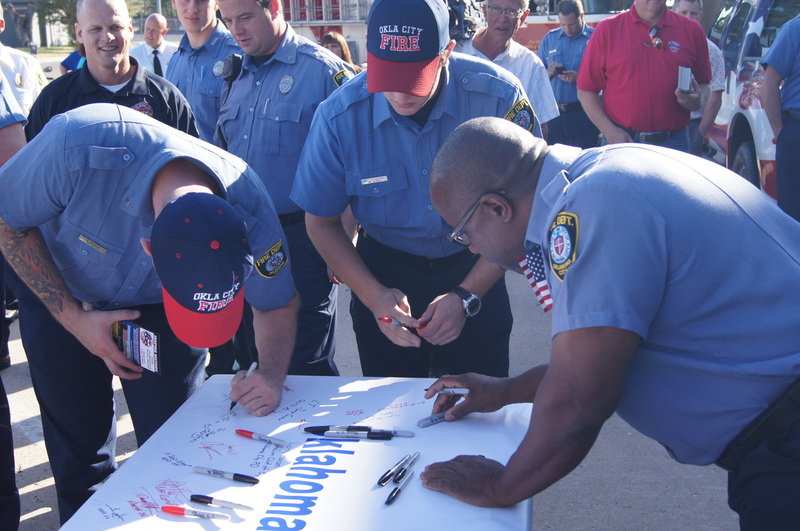 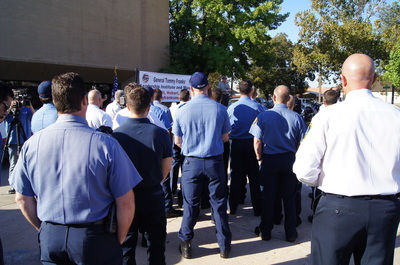 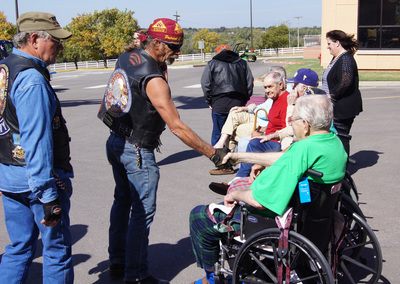 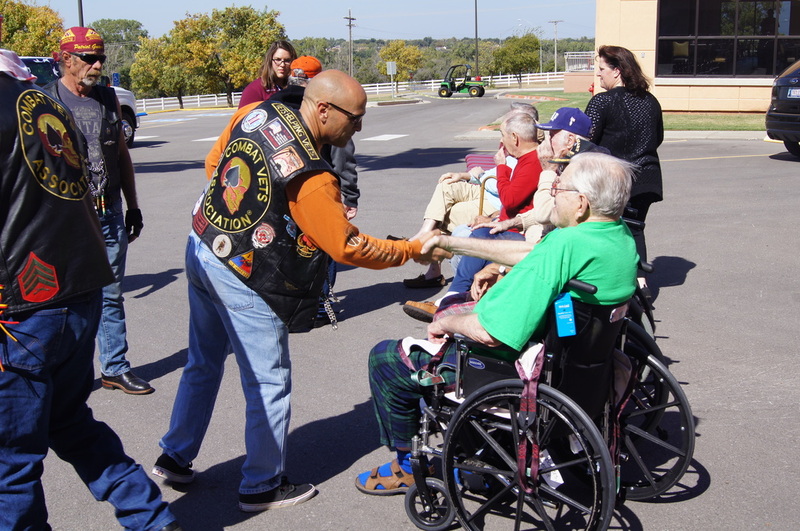 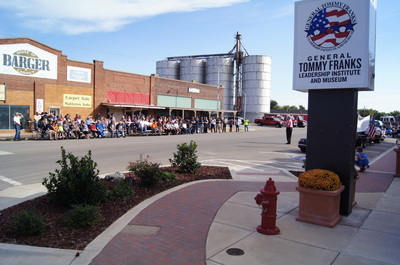 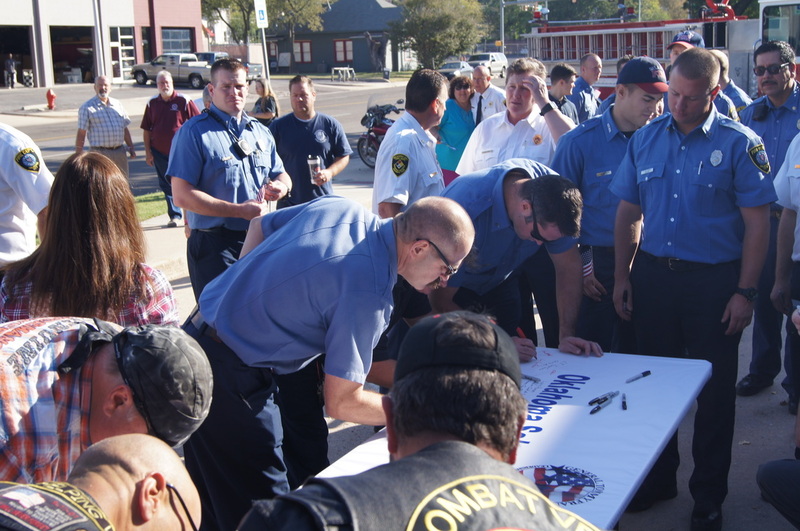 The "Never Forget" 9/11 exhibit grand opening and commemoration will be held on Sept. 11, 2016 at the Stanley Building in Hobart, Oklahoma. 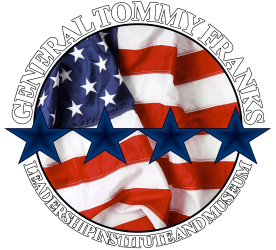 Please join us for an evening of remembrance with General Tommy Franks and national and state leaders.